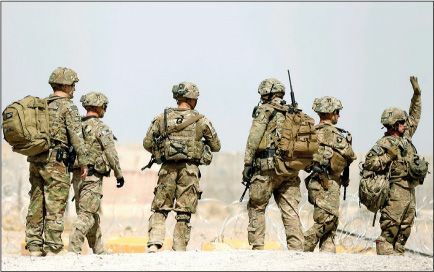 President Trump this week announced an expansion of the U.S. military presence in Afghanistan to combat a resurgent Taliban, but disclosed few details about how many troops would be committed to the 16-year war—the longest in U.S. history. In a televised speech Trump acknowledged his long-standing opposition to a conflict that has claimed the lives of more than 2,200 U.S. troops. “My original instinct was to pull out,” the president said. But his war cabinet, Trump explained, had convinced him that “a hasty withdrawal would create a vacuum for terrorists.” Framing his strategy as a break with that of the Obama administration, which set troop withdrawal deadlines, he said American forces will remain as long as it takes to deny terrorists a safe haven. Trump emphasized that the U.S. would press ally Pakistan to clean out terrorist sanctuaries along its border with Afghanistan. “We have some leverage,” said Secretary of State Rex Tillerson, citing the billions of dollars in “aid and military assistance” Washington has given the government in Islamabad.